Mr. Lee is commenting on the fact that while text messaging is one of the most common ways for people to stay connected with one another, it continues to be a largely untapped resource by businesses and organizations. Text-messaging communication (also known as SMS) keeps people tethered to their phones nearly 24/7 because it’s a convenient way to instantly connect with someone. People are also repeatedly choosing to use text messaging services to communicate even though they have access to other social media outlets. Despite living in a highly “mobile” society, many businesses and organizations are missing out on this opportunity to immediately connect with their audiences through text (Ny Times). SendTree allows you to send information fast! SendTree is a mobile messaging service that allows you to bridge the communication gap between your organization and your audience. Enjoy the benefits of staying connected with your audience by sending text notifications directly to your contacts’ mobile phones. Sign-up today and you can start sending text messages for 30-days absolutely free! Olenski, Steve. "Pulling Back The Curtain On Text Message Mobile Marketing." Forbes. Forbes Magazine, 04 Mar. 2013. Web. 08 May 2014. Cohen, Mark. 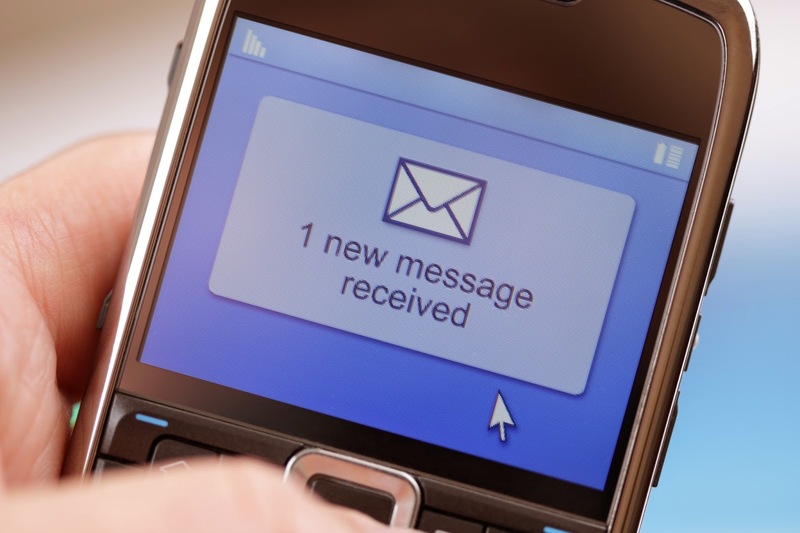 "A Small Business Guide to Text-Message Marketing." The New York Times. The New York Times, 23 Sept. 2009. Web. 08 May 2014.